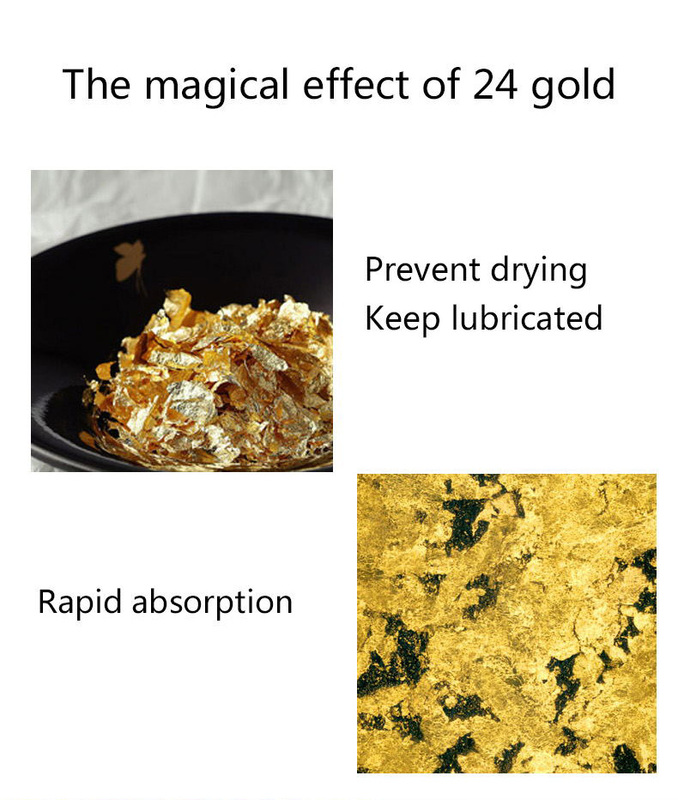 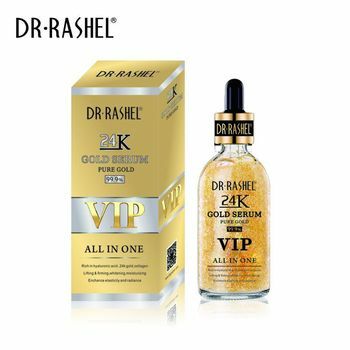 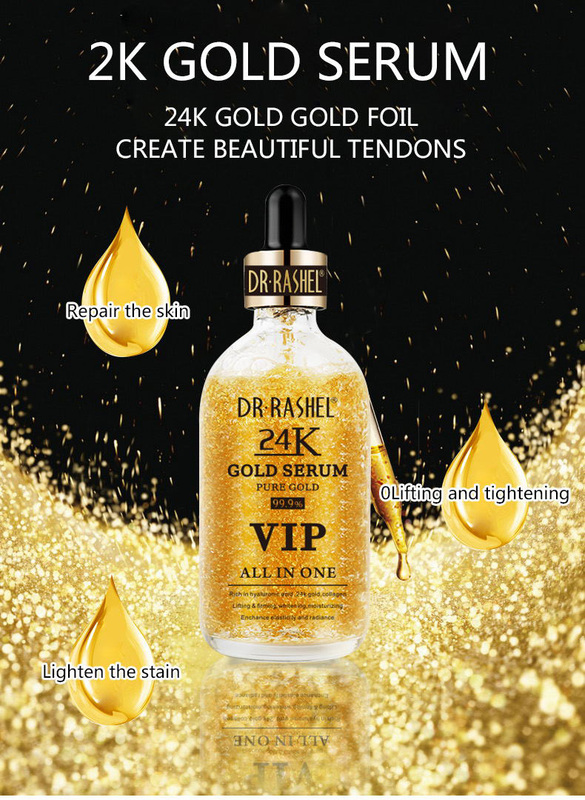 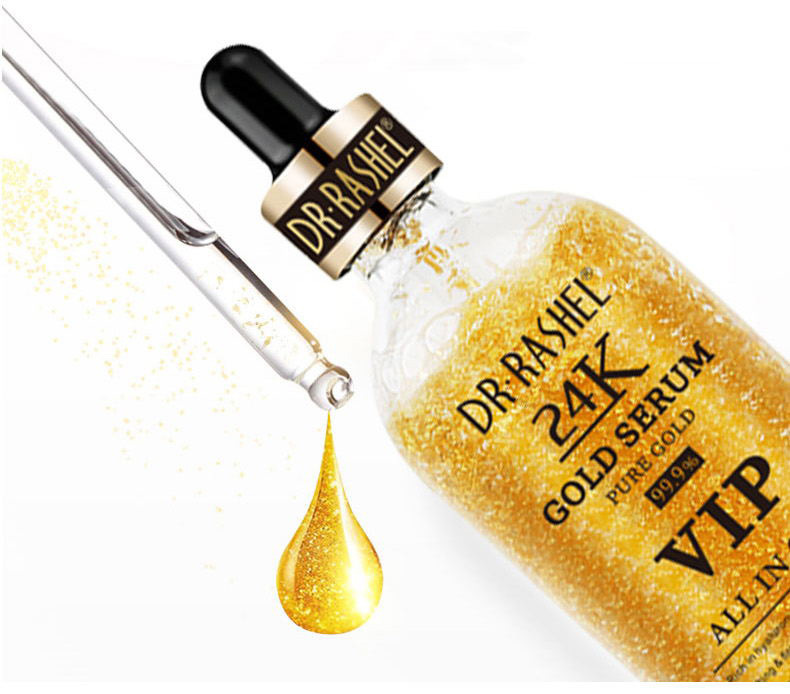 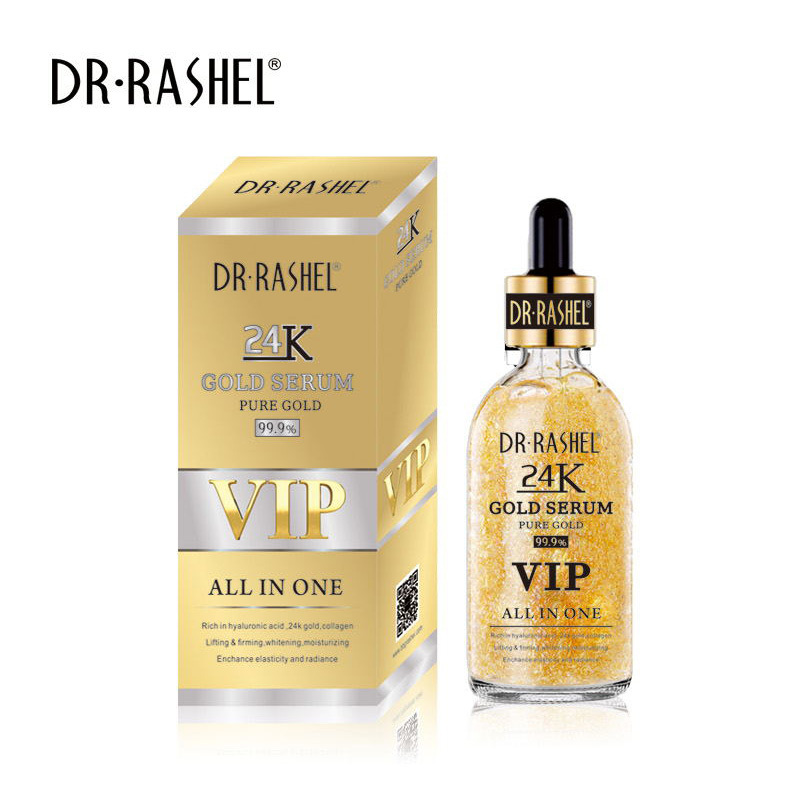 Contains 24K pure gold, deeply purifying the skin, whitening and anti-wrinkle Lifting Firming effect in one, brighten skin tone, enhance skin elasticity! 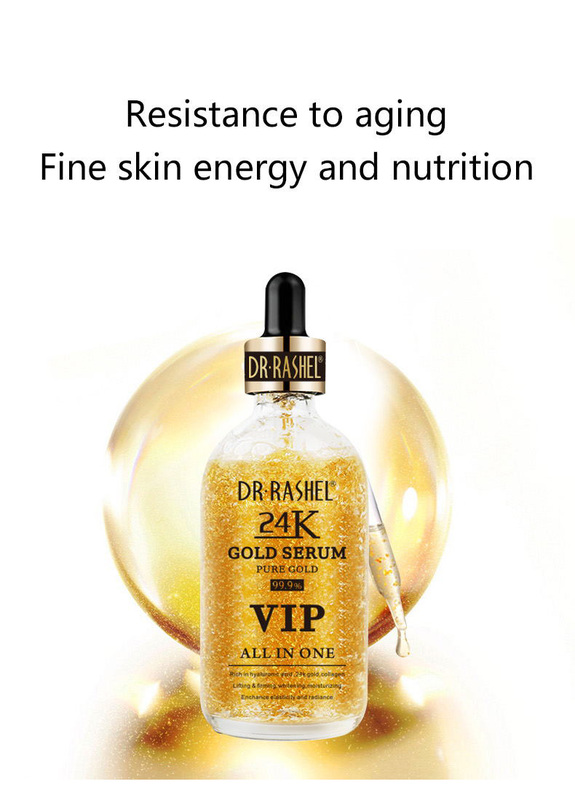 And add a wealth of hyaluronic acid peptide essence, is a nutrient-rich all-around essence.Its unique feature is that the 24K water-soluble gold and high concentration of hyaluronic acid contained in the skin can well repair the skin Fade dark spots . 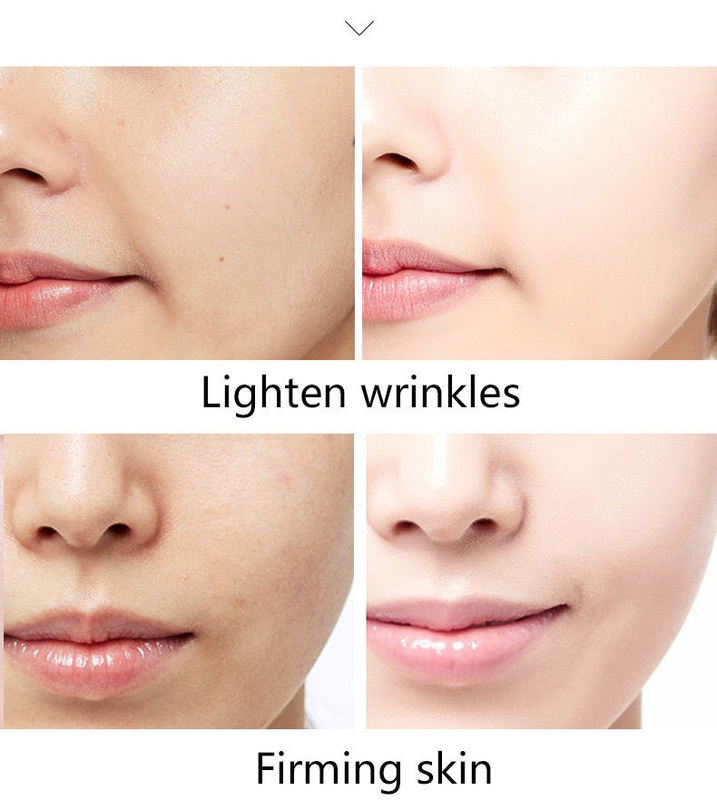 The acne scar can strengthen the skin's tightness and elastic moisturizing and brighten the skin. 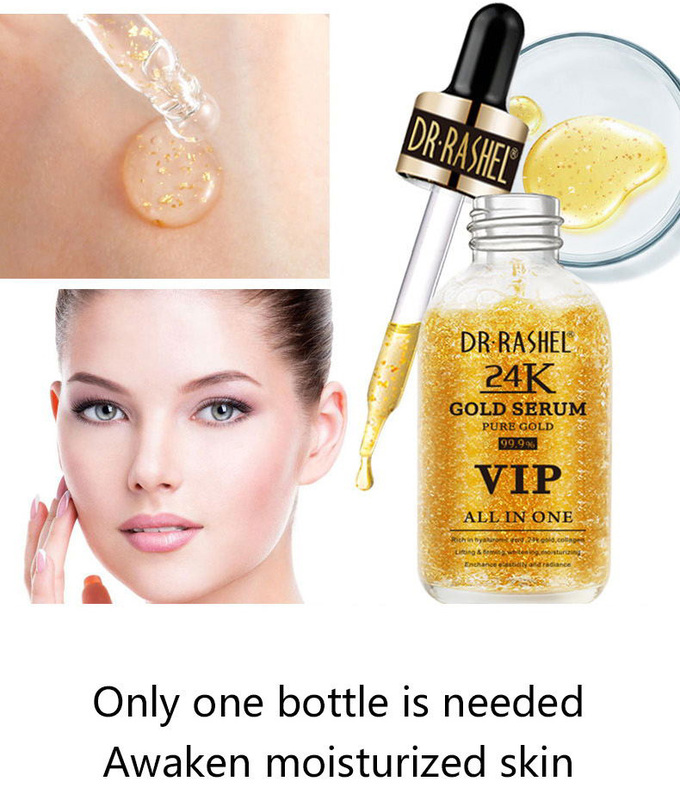 -For hydrating lips: Apply to lips before lipstick to hydrate. 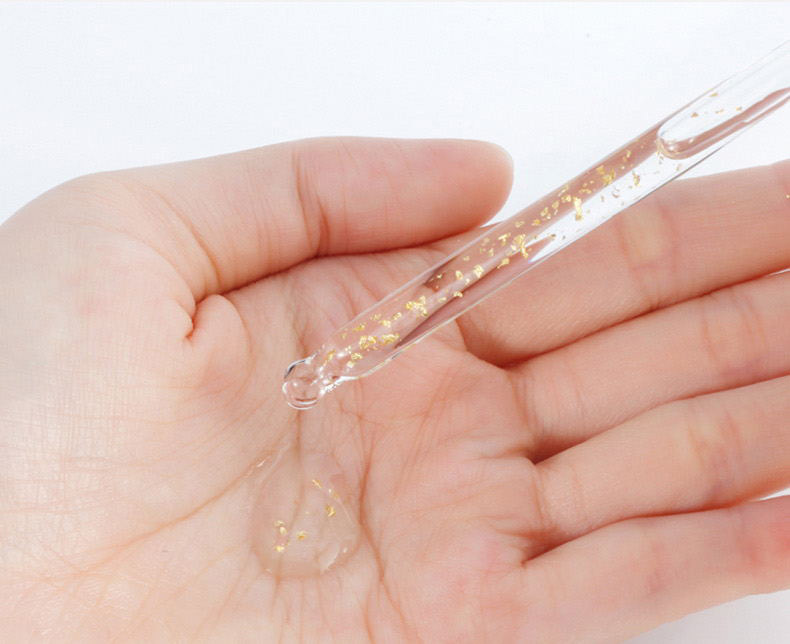 Make sure to let the drops absorb into the lips before applying lipstick. 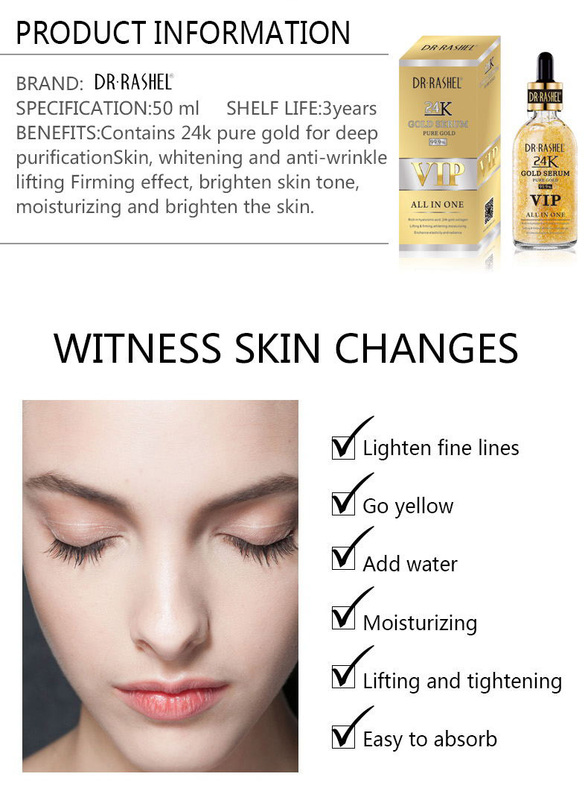 -Mixing with foundation: Use one to three drops and mix with your favorite foundation to keep skin hydrated and glowing. 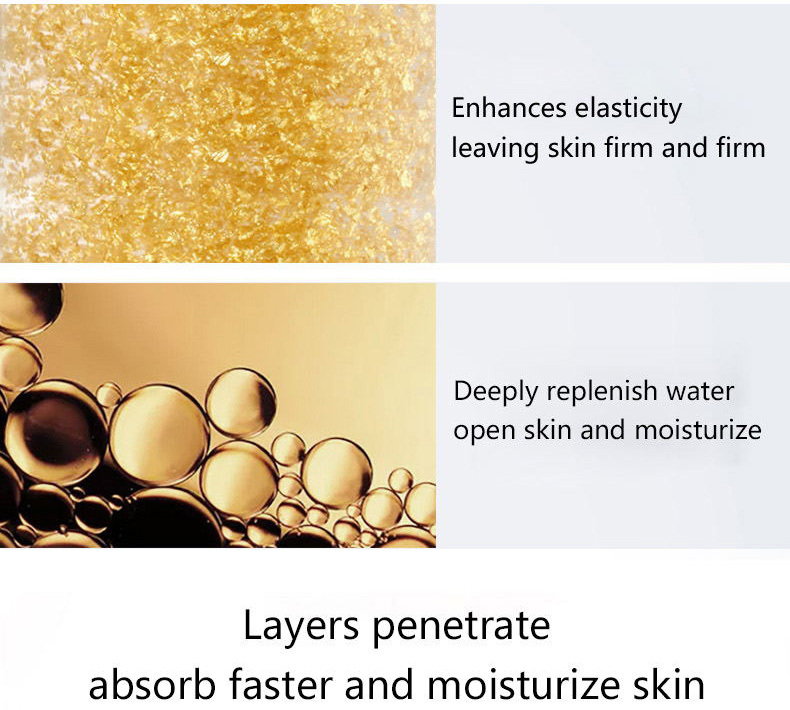 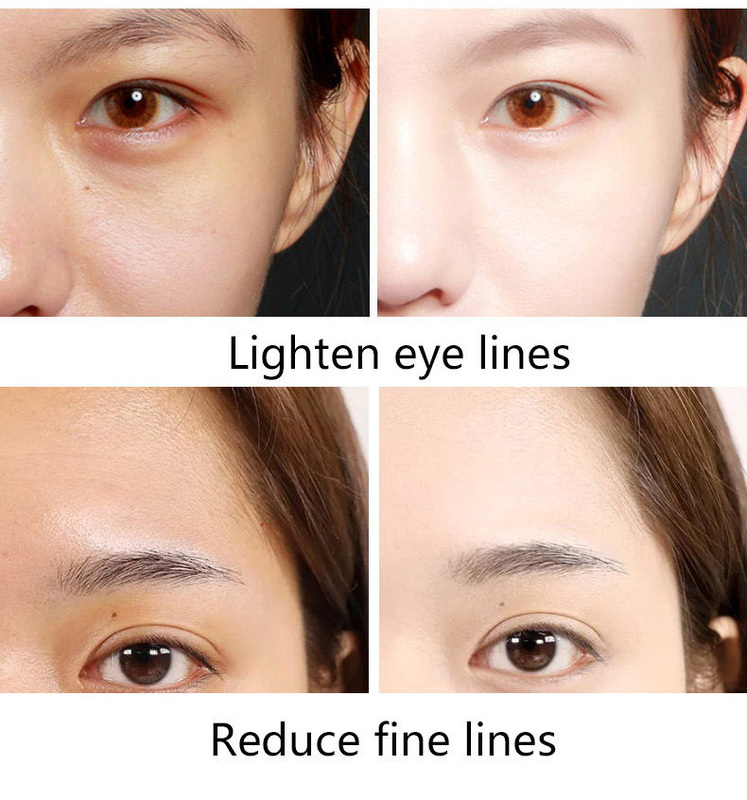 -To apply using a beauty sponge or brush, first dot foundation onto skin, then apply one to two drops of product on a damp beauty sponge (or brush) to blend in your foundation. . (This makes blending easier and the 24k Gold helps achieve that radiant glow) Can also be used with concealer and contour.